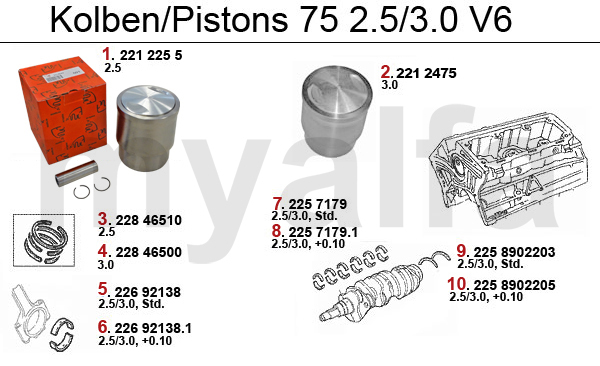 Alfa Romeo ALFA ROMEO 75 PISTONS/BEARINGS PISTONS/BEARINGS 6-Cyl. OE. 60513381 CON BEARING SET STD 6-CYL. OE. 60513381/2 ROD BEARING 1st OVERSIZE 6-Cyl. MAIN BEARING SET STD 6 CYL. OE.60568884 MAINBEARING SET 1st OVERSIZE 6-Cyl.